My wife and I, with our two adult sons, had a great family vacation with Mongolian Luxury Tours. Every day we saw beautiful places and very interesting aspects of Mongolian life and culture. 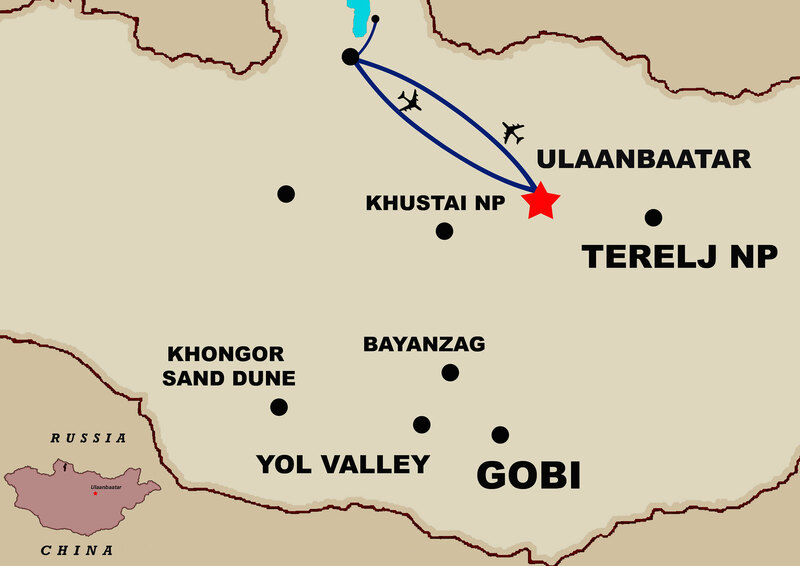 The lakes, the high country and the Gobi were all very beautiful, as were the cultural artifacts. The people we met in herding families, in villages and in the capital were friendly, proud and smiling. The fauna, both domestic and wild was exotic and beautiful. We were very happy to have a Mongolian Luxury Tours provide for our trip to Mongolia, and we are delighted with the result. Upon arrival at Genghis Khan International Airport, you are met by our guide and transferred to the hotel in the city center. Rest of the day is for rest and to recover jet lag and travel fatigue. Following breakfast, we set out to explore Ulaanbaatar-the capital city of Mongolia-the home to over a one third of the country's population where the traditional gers and Buddhist temples coexist with sky-kissing towers! Begin from the Gandan Monastery-Mongolia's most revered religious site-home to more than 100 Buddhist monks with beautiful chapels, courtyards and a giant 75-foot gold gilded Buddha statue. Next, we stop in the Natural History Museum that showcases the spectacular fossils found in the Gobi desert. After lunch, we visit the National Museum of Mongolian History and culture that has rich collection of stone and Bronze Age artifacts, costumes, sacred relics and items related to the nomadic life such as hunting and fishing tools. The balance of the day is open for you to stroll the streets of the city on your own. Following breakfast, we are transferred to the airport for flight to Muron in the north. 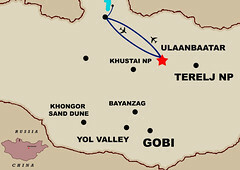 Muron is the headquarter of the Khovsgul Province. 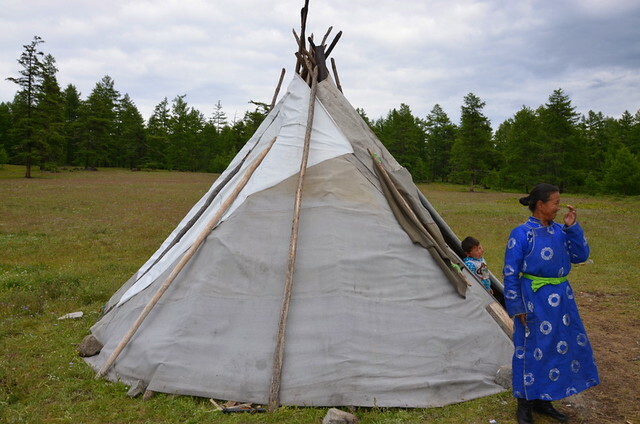 We meet our local guide at the airport and then we drive by 4WD vehicle through the vast Mongolian steppe into the forested mountains and finally we arrive at the Lake Khovsgul-Mongolia's largest lake. The lake, also known as the "Dark Blue Pearl" of Mongolia is situated amidst the pristine nature with beautiful forests, mountains and meadows and abundant with bird species and orchids. 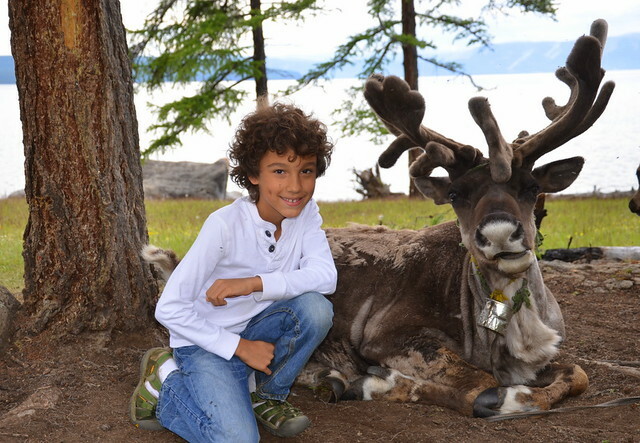 During whole lovely day, you will have an opportunity to ride reindeer and observe them. 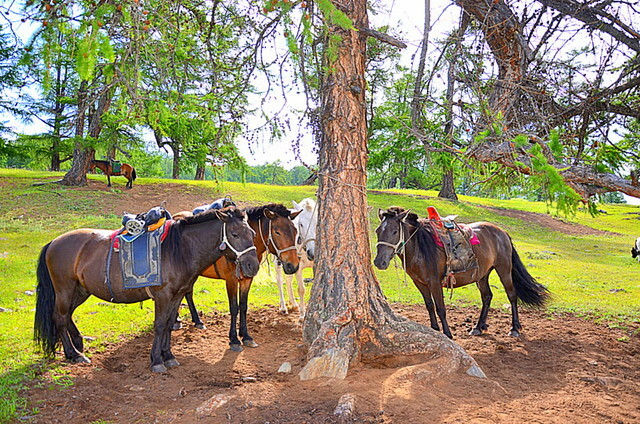 We spend the next two days in walking, hiking, horseback riding in the environs of the lake and the nearby mountains and visiting the local nomadic families. Optional boating trip is available on request. 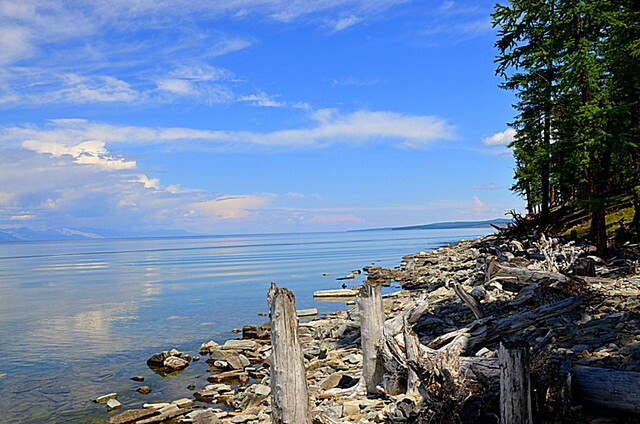 Khuvsgul Lake is reckoned among the purest fresh water lakes in the world. Its surroundings right out of a fairytale. Khuvsgul Lake is the second deepest lake in Central Asia and contains 60% as much water as Lake Baikal. Depth of Khuvsgul Lake is 262 meters and 136 kilometers long. Day 5 Back to Ulaanbaatar. Following breakfast, transfer back to the airport and fly to Ulaanbaatar. There is more to see if you are interested. Visit the Bogd Khan Winter Palace Museum-residence of Bodg Jabzan Damba Hutagt VIII-Mongolia's last theocrat. Or take leisurely stroll in the town center. In the evening, enjoy dinner and local folklore dance shows.